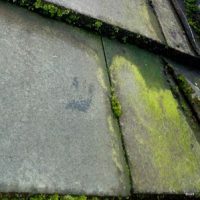 Have you got moss, Algae or lichen on your roof? Ignoring your roof, thinking that it doesn’t need regular maintenance or inspection could potentially be harmful to your roof and to your pocket. Protect your roof and prevent damage to it by having someone check your roof regularly for damage and/or foreign aliens, whether it be 6 monthly, yearly or 2 yearly. Foreign aliens being Moss, Lichen, Algae and Mould. Not only do they look make your roof look ugly, they can be bad for your roof and can be a potential risk for your roof to leak. 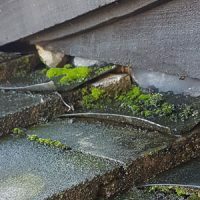 Let us face it…Moss, Lichen and the above are just some things that can make the roof leak. It takes an expert to be able to climb and walk on the roof. Small brightly coloured green spongy flowerless plants. Love the vibrant colour…but that is about it. They come in different sorts of coloured greens and green/browns. If you google moss in images, wow! Tons of pretty images…but on and for your roof, it is bad news. Moss tends to live in a damp and sun-deprived environment. These little green plants can cause havoc on your roof. They get into cracks and crevices and soak up water. Moss roots can lift up parts of a roof, especially if the roof is already damaged; the moisture can lead to the growth of bacteria and mould. Because of this, they are quite capable of causing leaks in your roof. 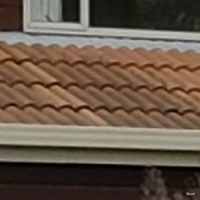 Is it bad for your roof? The short answer is yes…but it is fixable. 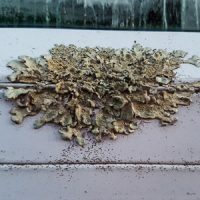 What is Lichen…it is an organism that is comprised of fungus and algae, they are not plants. Lichen comes in many forms and colours, the most common ones are the grey-green and yellow flat variety. To the roof, it does not hold as much water like moss does, but it can be acidy and that will eat away at the roof. They can stand out more on different coloured roofs. They grow anywhere and everywhere, very hardy. Some fascinating facts: Lichen covers 6% of earth land and about 20,000 known species. Who would have known that! Black algae could be mistaken for black mould. Especially on a brightly coloured roof, streaks of black stand out. Can be a mixture of dirt, mould and/or mildew or algae. The difference between the two is that mould is generally an indication that there may be something far more sinister happening in your house and because of this, it is harder to remove. Mould given time will eat away at your home; including your structural parts of your house. It is also a health issue. Algae, on the other hand, is a plant that loves sunshine and dampness that is on your roof. We are more familiar with green algae, as that is the type that we generally know off and see; as when we mention algae, we often think of water, ponds, lakes, rivers, fish tanks. Algae do live on buildings anywhere, including roofs. It does not harm the structural stability of your roof….it just makes it look terrible and slimy. If you have a water gathering system attached to your gutters…these need to be disconnected prior to spraying and left disconnected for a couple of heavy rain falls. Fish are very sensitive to everything…need to keep covered and/or taken away. Some plants can be sensitive to the spray. The solution is safe on any surface. It is a simple and cost-effective way of cleaning and keeping your roof clean. This solution will get rid of moss, mould, algae, and lichen. It can take several weeks to work, that is because the solution is not caustic. It may take longer for roofs that are in the worst case scenario. You may see the difference in a couple of weeks…with discolouration of the moss, mould, algae, and lichen. Note: If your roof has not had a treatment for many years, it could take several months for the product to take action. The weather also plays a big part in it. Once you have your roof cleaned, it is best to keep your roof updated with regular cleaning and maintaining. As most are air-borne and it will reappear again. Depending on your location, that could be from at least 1 to 3 yearly. 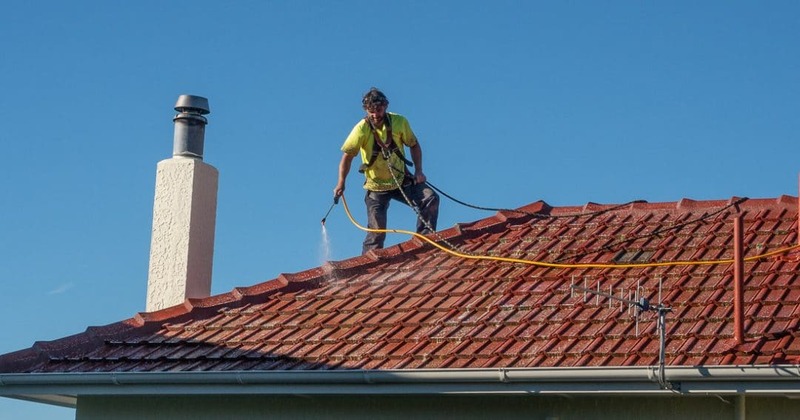 If you live near trees, bush or forest and have little or no sunlight and have a damp to wet place, then the chances are that you may need your roof sprayed once a year. If you live in an open space with plenty of sunlight and dryness, then you may need to spray your roof once every few years. Keep your roof clean, maintained and healthy…it reduces leaks and looks great. So do not procrastinate or hesitate, that could lead to further damage.